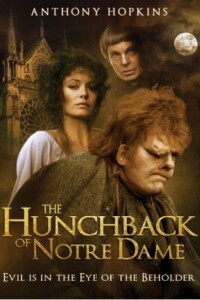 Oscar®-winner Sir Anthony Hopkins stars as Quasimodo, the hunchbacked bell-ringer of Notre Dame’s Cathedral, falls in love with the beautiful gypsy dancer, Esmeralda. When Esmeralda is arrested for lewd dancing, she catches the eye of Quasimodo’s guardian, the archdeacon of the cathedral. Further unwanted affections are lavished upon her by a poor street poet. But Esmeralda’s love is reserved for a handsome soldier. When a mob accuses Esmeralda of being a murderer and a witch, Quasimodo must rescue her by claiming sanctuary for her in the cathedral.